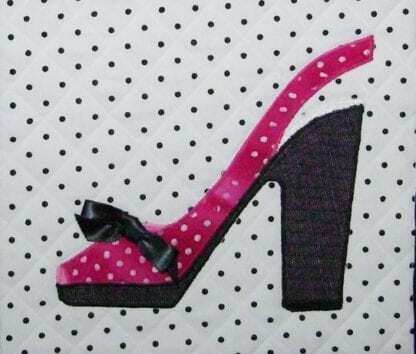 Fashionista shoe design PDF pattern! 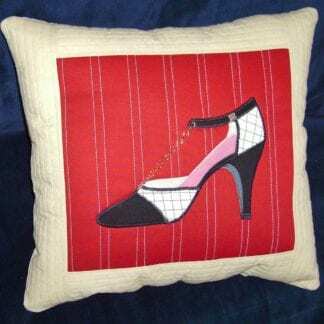 E pattern can be used to make a shoe quilt, shoe painting, and shoe pillow. Inspired by Prada, Fashionista is a high-fashion peep-toe platform pump with optional accent on the vamp. 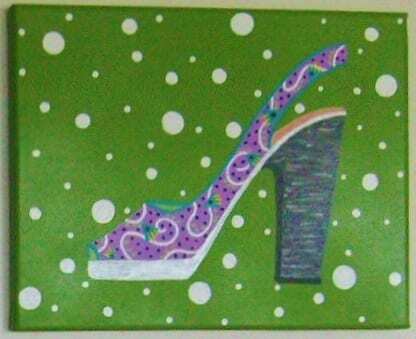 One of my series of shoe designs, created to share my love of shoes with other crafty fashionistas. Fashionista is one of four applique designs that are just right for shoe lovers. It’s the final installment in my series of shoe designs I call my “shoe gallery”. I designed these fun, colorful shoes several years ago, when I started designing and painting needlepoint canvases, and they were such a hit! I’ve used them on note cards, in calendars…even Christmas cards. Inspired by Prada and vintage disco style, Fashionista is a high fashion peep-toe platform pump with optional accent on the vamp. I added a button that looks like a folded shell to the vamp on one pillow. I also used a muted brown stripe fabric to mimic a stacked wooden heel. These stylish shoe designs make fashionable gifts for the shoe lovers in your life. 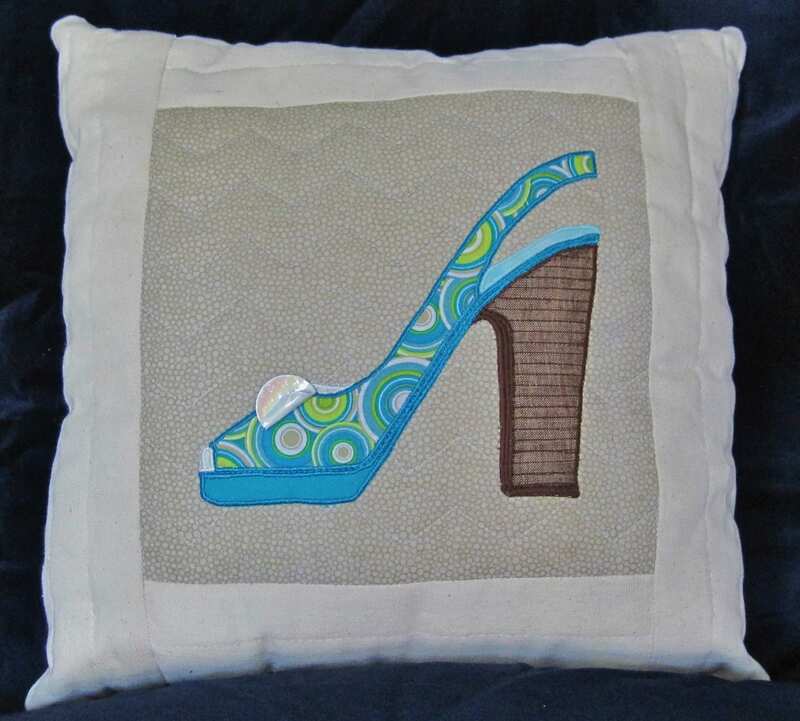 Create pillows, wall hangings, quilt blocks, and more. 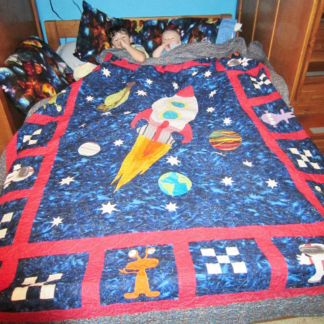 If you can sew, you can easily follow these patterns. 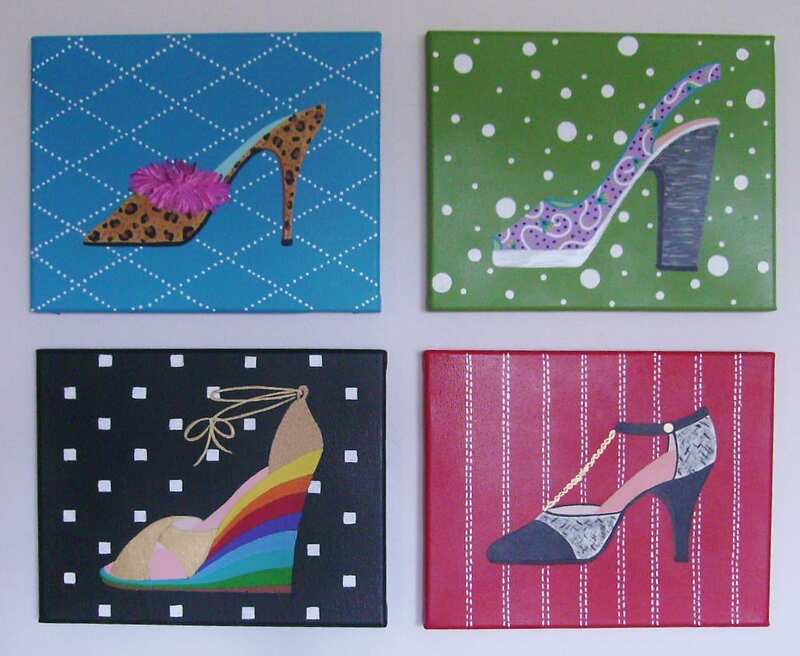 Make a few (or all) of my shoe designs for a fun grouping on sofa or wall! 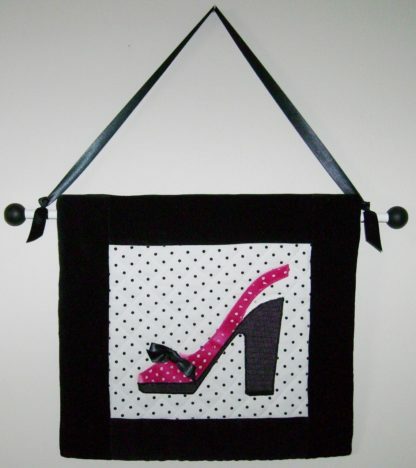 You’ll find easy-to-follow, step-by-step instructions that walk you through creating a pillow or wall hanging. 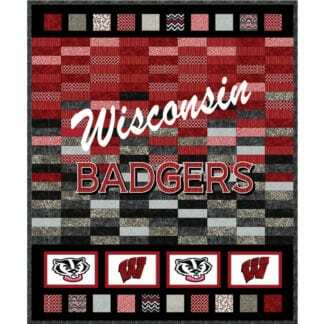 Each design combines applique, quilting and three-dimensional accents. Create a stencil by tracing the pattern onto stencil plastic and sponge-paint them on all of the stuff above. Roll out fondant and use the pattern or stencil to cut out decorative accents for cakes. 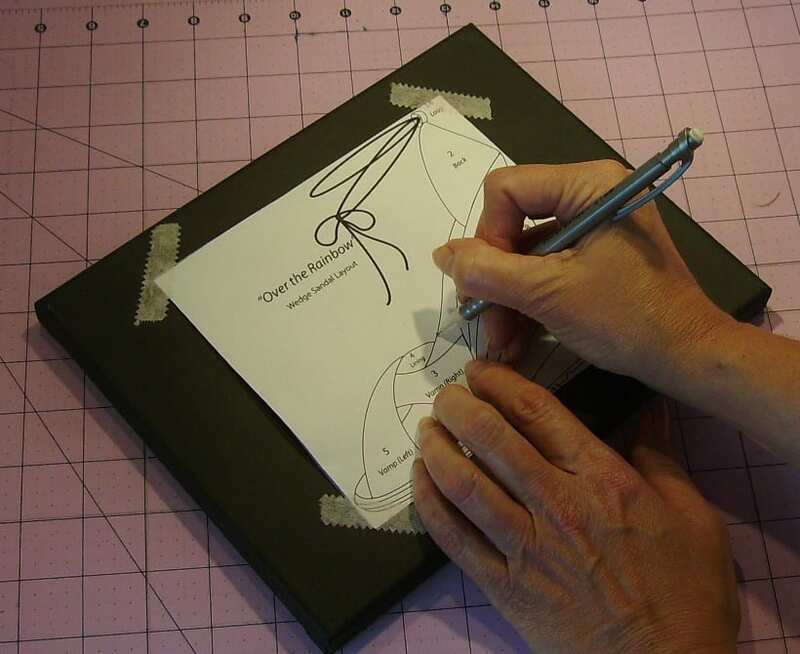 Create banners, table signs and more by tracing on card stock, cutting and assembling pieces. 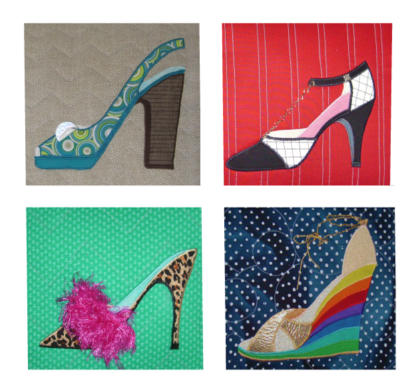 Click on the links above to check out the other shoe design patterns. 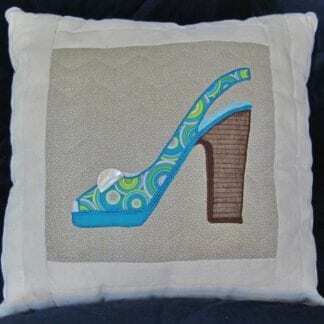 You'll find me designing clothes, home decor items and more, developing patterns for them as I go. Evenings are spent working on new blog posts and tutorials, building on design and development, and sharing helpful lifestyle tips and suggestions.